There are dark records and then there are records featuring London-based musician Umair Chaudry, who seems to be hell-bent on creating a one-stop shop for the glummest releases of this Millenium. Whilst his solo assignment, Abandon, balanced the blackness with an air of elegance, Monday Morning Sun gives Chaudry an outlet with which to share his bleak vision with vocalist/bassist Marco Ruggiero. They certainly hammer home the message too. At first, ‘Bad Bones’ seems to signify a playful, experimental heart. Snatches of film dialogue, African rhythms and digitised vocals all dovetail in to a rhythmic, entertaining opener. One thing hasn’t changed from Chaudry’s Abandon project though; ‘Bad Bones’ alone lasts for an energy-sapping ten minutes. However, it turns out to be the lightest moment of the record. ‘Blind Leading The Blind’ doesn’t really build from its wah-wah guitar beginning in to anything more than a grim post-punk throwback whereas ‘Never Put A Foot Wrong’ comes close to emulating the atmosphere of Joy Division, or at the very least a credible A Certain Ratio. ‘Smoke And Mirrors’ is better still as it finds the hitherto undiscovered middle ground between Bauhaus and Spiritualized. Yet, as on the Abandon record, Chaudry saves his powerful statement of intent to last, courtesy of the pummelling beats and doom-ridden aura of ‘Questions’. The overtly aggressive, masculine nature of the record means that melody is not high on the agenda. As a result, the album is only recommended for those who avidly collect the more obscure releases from the early days of Factory Records. Welcome to the world of San Francisco’s Return To Mono. The formula will be familiar to those who followed indie-dance music in the late 1990’s. The trio are made up of two balding DJ types whilst their music is given voice by the distinguished presence of Tanya Kelleher. ‘Song Of The Beast’ is an arresting opener as Kelleher emerges from a crunchy mix of beats, bleeps and guitars with a cracking chorus. Similarly impressive is the title track where Kelleher’s staccato vocal techniques represents a captivating USP. 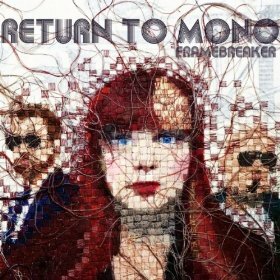 It’s at this point when you realise Kelleher’s time as a nanny for Butch Vig’s child creates a nice link between Return To Mono’s style and Vig’s own dance-rock hybrid, Garbage. Nevertheless, it’s hard not to be charmed by ‘The Promise’ as its breakbeats circle around the colourful ambient soundscapes, or indeed the excellent ‘Seeker Circuit’, which is edgy and hook-filled. After this, the band have a tendency to consolidate their formula and anonymous chill-out numbers like ‘Dreamer’ and ‘See You On The Other Side’ are indicative of album which gradually runs out of ideas towards the end. Although ‘Framebreaker’ will seem like a step back in time for those who listen to it, for the first half of the record at least, they keep the arrangements fresh and inventive. Furthermore, in the form of Kelleher, they have a frontwoman with a great versatility. 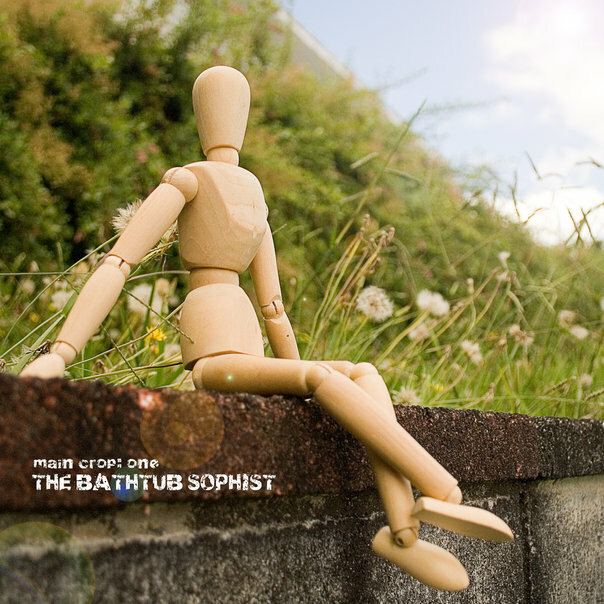 The Bathtub Sophist is the nom de plume for New Zealand musician Arron Stewart. It’s true to say that his mix of nature samples and “sublime sonic storytelling” is quite commonplace nowadays but his uncomplicated approach turns out to be rather refreshing. ‘Rise And Shine’ opens, quite appropriately, with a rooster’s cry. It’s a brief, one-minute piece but it sets the tone for a record which is happy in its outlook. ‘Fledglings’ balances summery guitars and classically-inspired keyboards with bird song, then the beats kick in and convert a pleasant tune in to something really rather moving. Stewart is no stranger to dabbling in genres either. To this end, ‘Bask’ experiments with dub whilst ‘The Tribe’ toys with African rhythms but both are arranged in Stewart’s usual warm, playful style. ‘Main Crop: Vol 1’ isn’t one of those ambient records with an undercurrent of melancholy and its samples (bird song, insects) could be deemed fairly obvious. Yet despite the apparent lack of mystery or depth to Stewart’s music, his approach is always centred on melody. Best of all, for the curious, this release is free to download too. Although it doesn’t qualify as an album, Lidwine’s ‘LW’ (see the review here) represented one of the musical highlights of last year. It reminded me of the greatness of Björk’s early career but Lidwine carves out her own style with a penchant for original key changes and classical accompaniment. This example of her idosyncratic methods reveals Lidwine’s key strengths: a superbly melodic voice, unusual instrumentation and now accompanied by this slightly eerie, yet dreamlike video. I hope to hear more from her this year. Youth Sounds are a new group from New Orleans, formed by siblings Erika and Federico Mejia. As with many new acts on their first EP, there’s a sense that they are still finding their feet before establishing their signature sound. As a singer, Erika is quite unassuming, delivering a cracked whisper whilst the music around her is formed by meaty percussion and layers of guitars, which veer between indie rock and dreampop in tone. Nevertheless, it’s a combination which works well for ‘As Strangers Would’. ‘Smoke And Mirrors’ begins with sweet acoustic melody and the most hushed of vocals; taking nearly three minutes to explode in to harder riffs. Finally, ‘What Is It Like’ signs off in pleasant fashion, suitable for drivetime accompaniment. 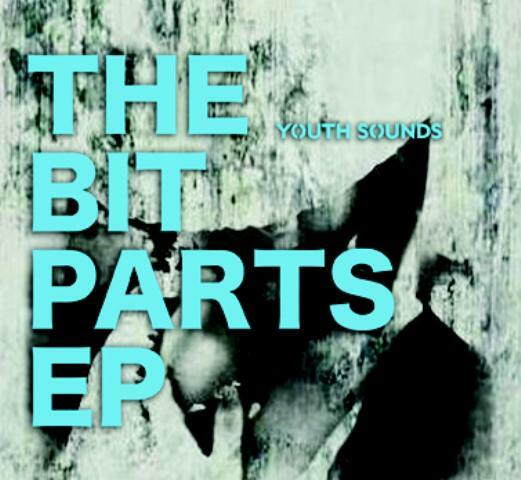 ‘The Bit Parts EP’ is rather undemanding but still produces highly palatable, fuzzy rock fare. It threatens to catch fire but cautiously holds back before it becomes anthemic. It’s tough to assess them after just ten minutes of music but you sense there’ll have to be more dynamic on their next release. Via a sequence of regular releases, Rich Bennett has revealed a strong desire to make cinematic music encompassing many different genres. 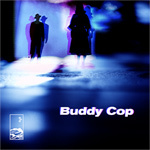 ‘Buddy Cop’ comprises, once again, a series of instrumentals for an imaginary theme; in this case featuring a classy, refined cop from uptown named Dan Lyman. ‘Main Credits’ balances steel guitar with heavyweight Miami Vice-style percussion; (in fact, the latter becomes a common weapon used by Bennett for this “score”). ‘Chase Scene’ is the track which most closely relates to one of Bennett’s parent bands, Hotels, thanks in no small part to its intricate guitar interplay, whilst ‘The City At Large’ is awash with layers of electronic melody. Topping everything else, though, is ‘Goodbye To Love’; a subtle slice of melancholia, evoking nocturnal romance of the most refined variety. ‘Buddy Cop’ is so authentically 1980’s that the press release claims the music and film were found on an old VHS tape. They’ve even taken the trouble to make a tongue-in-cheek trailer. Just don’t try looking for too much depth here as ‘Buddy Cop’ should be treated as a fun and nostalgic release. 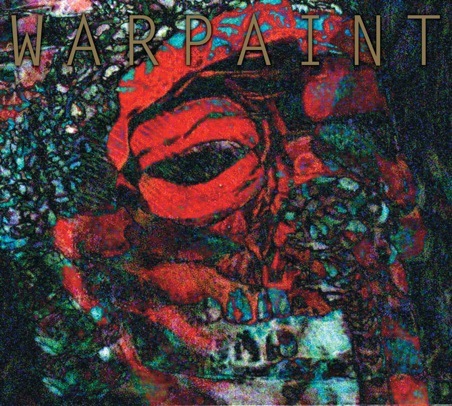 Warpaint have been earmarked as one of the bands to watch in 2011. This can mean various things; perhaps they really are talented or perhaps they just have an influential PR company. Considering they began in 2004, though, releasing their first EP is surely an example of taking time or a bad case of tardiness. Using their debut album ‘The Fool’ as evidence, though, patience is most definitely rewarded. This LA-based all-female outfit are referred to as an experimental art rock group. It’s a fair description although much of their music appears centred on the fringes of goth and post-punk music. Crucially, they also know their way around a killer hook when they need it. Although not the best track, ‘Set Your Arms Down’ certainly sends out an eerie statement of intent. The quivering in Emily Kokal’s voice, the threatening rumble of percussion and the jangly guitars are all present and correct and indicative of what is to come. The title track is stunning as its ghostly harmonies and post-punk guitars collide in to a malestrom of intense but hypnotically beautiful noise. As singles go, ‘Undertow’ and ‘Shadows’ contain surprisingly spare arrangements but this only adds to their haunted brilliance. Only ‘Baby’ disappoints because it’s the one time when their “less is more” approach sounds too much like other artists; in this case take your pick from any female-led acoustic act from the last 10 years. However, the same cannot be said for ‘Lissie’s Heart Murmur’, where the group bring in piano to accompany Kokal’s most heartbreaking turn in front of the mic and remind us how special they actually are. ‘The Fool’ is a frequently startling and great record. The stark arrangements shiver and shudder their way into the body and head, creating both visceral and cerebral thrills. Looks like those media types got it right after all, then.